How might Metro’s funding shortfall affect you? Metro continues to face a funding shortfall. The state Legislature is considering new transit funding tools, but if none is approved, Metro faces a $75 million annual shortage after some stop-gap funding runs out in mid-2014. Over the past five years we have made deep cost cuts, raised fares four times, and taken many other actions to keep buses on the road, but we would have no way to close the projected budget gap without making major service reductions. A report we released today says we would have to eliminate, reduce or change about two-thirds of Metro bus routes. Read the news release. This 2012 Service Guidelines Report analyzes our transit system using measures of productivity, geographic value, social equity, and ridership. The report shows us where we need to increase service to reduce crowding, keep buses on time, and meet growing demand. It also identifies service that we might consider reducing if necessary. The report offers the first glimpse at which Metro routes are at risk of elimination or reduction if a funding solution isn’t found. 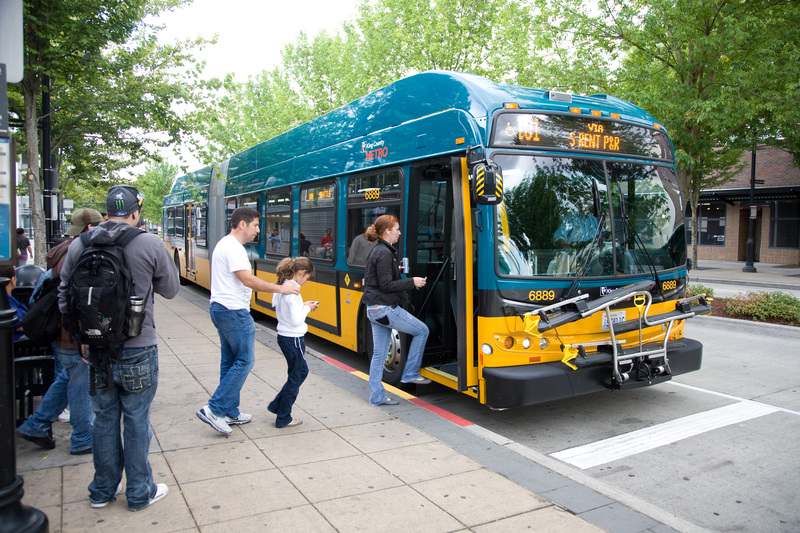 Without additional revenue, Metro will have to reduce up to 17 percent of bus service. A reduction of this magnitude would be felt by all riders. An estimated seven out of 10 of you would lose some or all service and might have to go farther to get to the bus, take a longer trip, or transfer more. Riders throughout the system might have to crowd onto packed buses or wait at the curb while full buses pass by. We want you to know what’s at risk and join our conversation about Metro’s future service. While the report provides an illustration of specific routes that might be eliminated, reduced or changed, the actual proposed reductions will take more planning, including public outreach on the first potential reductions this fall. Reductions would be made starting in September 2014 and continuing through the following year.